The British economy was in a volatile state 80 years ago, as the world teetered on the brink of war. Business was tough for all, and yet printing and publishing was expanding with Dundee-based DC Thomson & Co, publisher of newspapers, magazines and comics, especially prominent. Spurred on by the success of weekly newspaper comic strips Oor Wullie and The Broons, and its “big five” action story papers for boys, Thomson decided in 1937 to create another quintet of comics for boys and girls, this time focused on humour. The Dandy became the first of these comics to launch in December 1937, featuring characters Korky the Cat, Keyhole Kate, Hungry Horace and the enduring Desperate Dan. Under the editorship of the indomitable Albert Barnes (whom the square-jawed Desperate Dan is said to be modelled on), The Dandy introduced a new style of comic drawing to generations of schoolchildren. Taking inspiration from existing British and American styles, such as the use of hand drawn speech bubbles, The Dandy’s team of experienced scriptwriters and talented artists developed a humour that celebrated slapstick and derided authority figures. The following summer, a “great new fun paper” arrived – The Beano. Now close to publishing its 4,000th edition, the very first issue of The Beano came complete with a free whoopee mask when it was released on July 30, 1938. Deriving its name from a 19th century colloquialism for celebration, party, or other merry occasion, The Beano was intended to be a feast of fun. The 28-page publication was a mixture of mostly black and white comic stories, short comic strips, and text stories. With characters such as Big Eggo (an inquisitive ostrich), Lord Snooty (and his pals), and Pansy Potter (the strong man’s daughter), The Beano enjoyed an immediate readership, with 442,963 copies of the first issue sold. It wasn’t just about the laughs. During World War II, The Dandy and The Beano became important propaganda tools in the fight against Nazism and Fascism. Adolf Hitler, Hermann Göering, and Benito Mussolini were lampooned in each comic, and copies of The Beano were sent to soldiers serving overseas to boost morale. Scripts and advertisements followed patriotic themes, too, urging readers to aid the war effort on the home front by gathering waste paper for recycling. Lord Snooty’s storylines often reminded children of the importance of gas masks for protection against chemical attack during air raids. Thrilling adventure stories, such as Tom Thumb, and Jimmy and His Magic Patch, enthralled war-weary readers with fantastic escapist tales in far flung, fairytale locations. The war scattered Beano artists and writers far and wide, while paper rationing and ink shortages forced a smaller page count. Yet publication continued, albeit fortnightly, alternating with The Dandy. A third pre-war Thomson comic, The Magic, which launched a few weeks before the outbreak of hostilities, ceased publication in 1941 because of paper scarcities. Thomson’s ambition to create another big five was never fully realised. After the war, The Beano staff returned with renewed energy and enthusiasm, successfully taking on new comics such as The Eagle (1950), also published in Britain, and the competing medium of TV. Circulation increased dramatically – in April 1950, The Beano reached the peak of its popularity, recording a weekly sale of 1,974,072, the highest to date, for issue 405. In 1948, Biffo the Bear ousted Big Eggo from the front cover after market research indicated children preferred their cartoon strip characters to more closely resemble people. It was an important moment in the comic’s history, when many of The Beano’s longest running stories, focused on child characters, full of tricks and tomfooleries, began to appear for the first time in all their mischievous, madcap magnificence. 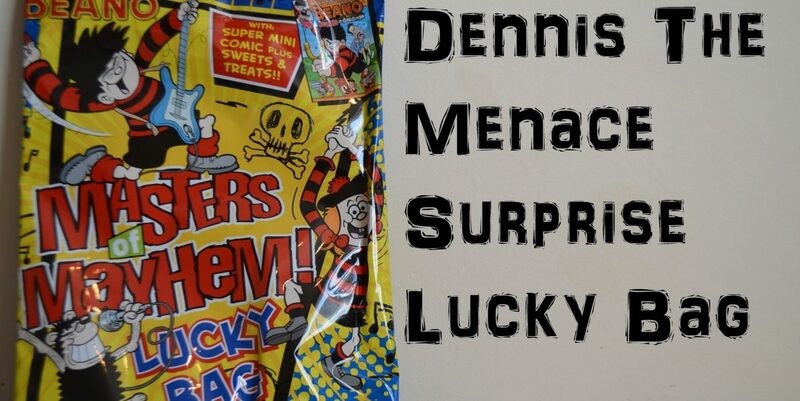 One such character was the “world’s wildest boy”, Dennis the Menace, who burst onto the pages of The Beano in 1951. In 1953, artist Leo Baxendale brought to life The Bash Street Kids, Little Plum, and Minnie the Minx, with Roger the Dodger, by Ken Reid, also debuting that year. In the 1960s and 70s, further new characters were introduced, including Billy Whizz (“the world’s fastest boy”) and Baby-Face Finlayson (“the cutest bandit in the west”). Since the 1980s, Beano storylines have increasingly reflected shifting social trends, and adjustments have been made to the language and look of characters. Dennis, for example, is no longer known as a menace and his nemesis, Walter, is no longer a “softy”. 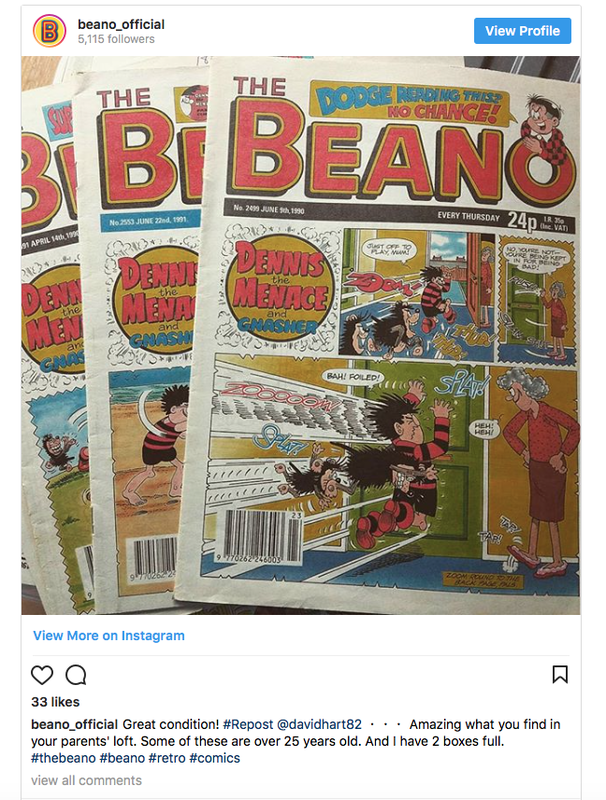 While the digital age has undoubtedly impacted sales, The Beano has, for the most part, embraced the challenges, and is now available online as well as in print. Now the world’s longest running weekly comic (following the demise of The Dandy in 2012), The Beano has endured because it celebrates its past, while evolving to survive the future. The comic has entertained children and adults for more than three generations, a riotous celebration of comic art, anarchy and absurdity. It is part of Britain’s individual and collective memory, part of the fabric of its social and cultural history. Happy Birthday, Beano!